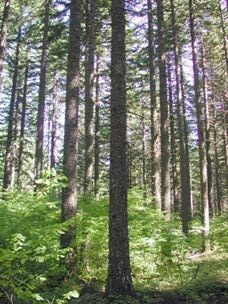 Mature Second Growth Douglas-Fir Forest on Stevenson Land Company Timberland. SDS Lumber Company seeks standing timber, timberland and logs for manufacturing into lumber and plywood. If you have timber, logs, or timberland for sale, please give us a call at 509-493-2155.